We fell in love with Maria Corte Maidagan's work from the first time we saw it entered into our Breakthrough Contest. She has a perfect blend of organic shape, texture, and color, that she blends together to successfully translate any metaphor. 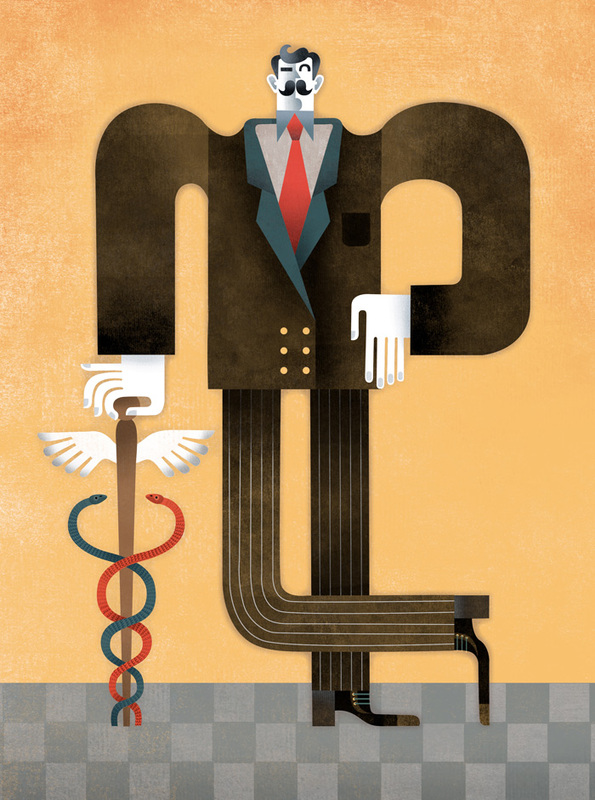 Including an article about the not so exciting subject of medical inflation that Maria has managed to turn into this gem of an illustration for The Deal magazine. Paul Cox is just as charming as his artwork. The Get Together 2012 at our Office was a Blast!